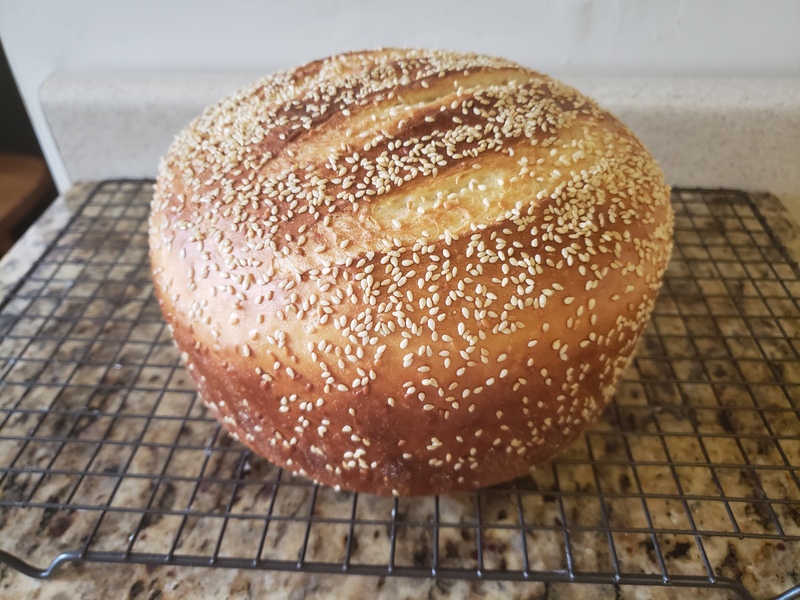 This week, I found myself in the mood for bread with sesame seeds on it. 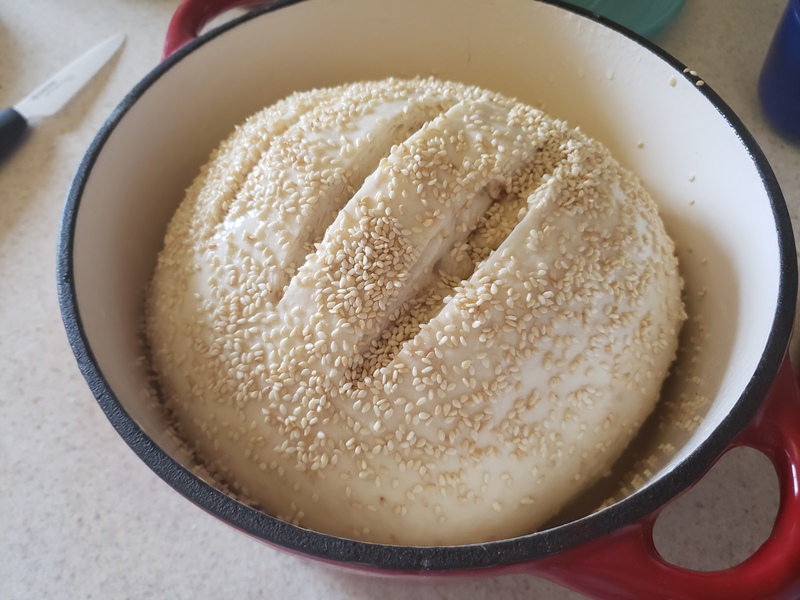 Normally I’d go for a crusty Italian braid studded with them, but this time I thought I’d try something even more sesame-forward and put them in the bread dough itself. 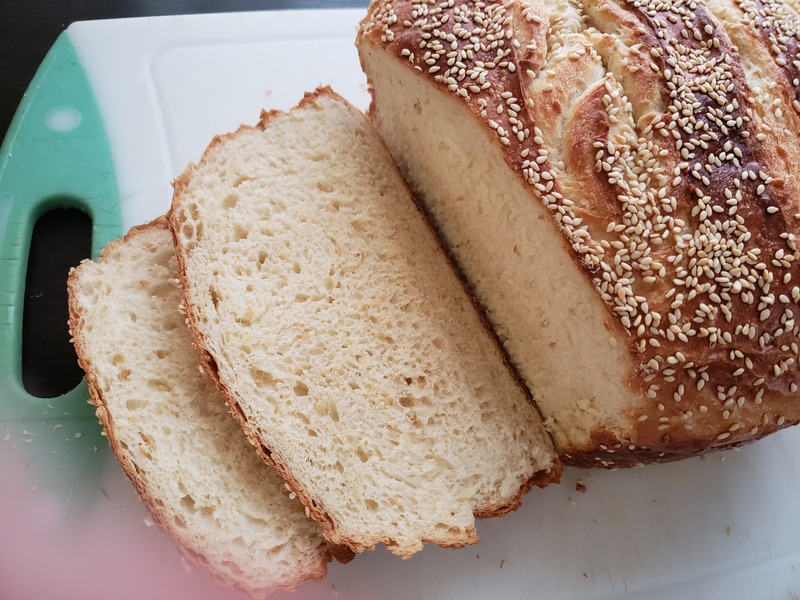 This loaf has a wonderful texture as the bread flour adds chewiness and structure, while the semolina flour adds softness, and finally the sesame seeds add a nutty bite to the whole thing. Definitely a treat, and really easy to make as well. All this one takes is a little bit of patience in letting it rise twice. 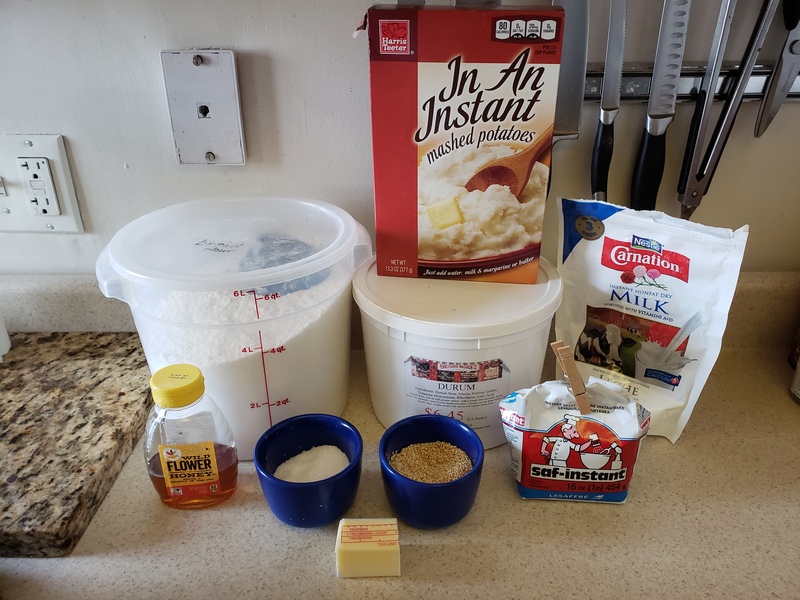 Combine all of the ingredients for the bread dough and mix well. 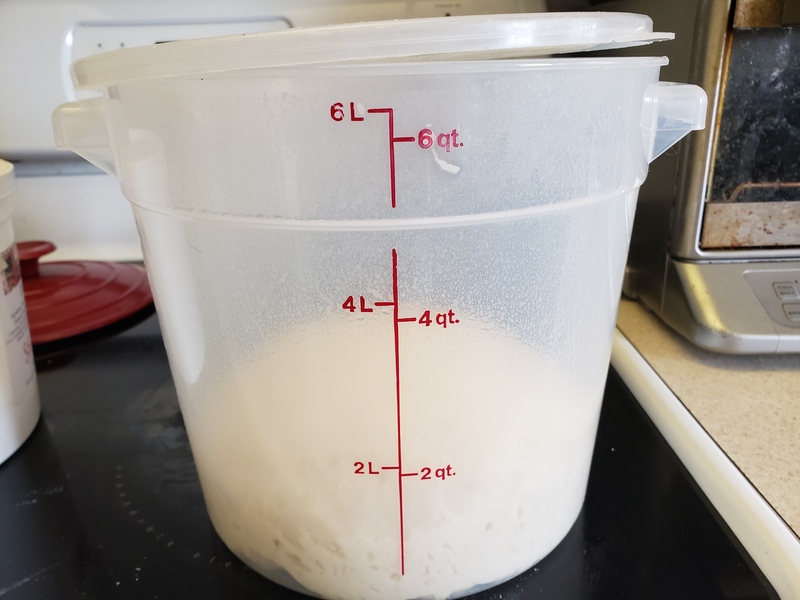 Knead using a bread hook attachment (4-5 minutes) or by hand (8 minutes) until you have a dough that is smooth and elastic. Grease a bowl or container and put the dough in it, tossing to coat with oil. Cover lightly with plastic wrap and let rise in a warm area until it has doubled in bulk, 60-90 minutes. Grease a 3-4 qt. dutch oven and dust the bottom with semolina flour. 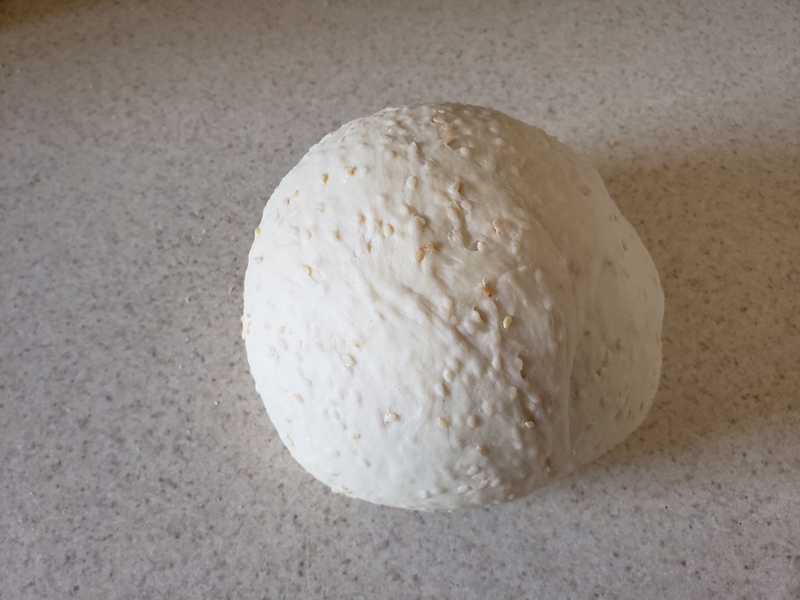 Punch down the dough and shape into a ball (boule), and then place that in the dutch oven. 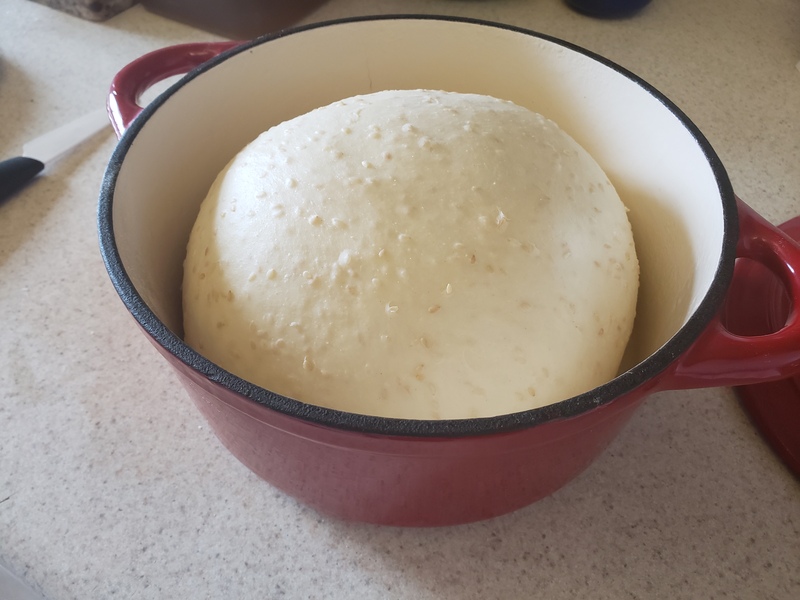 Put the lid on the dutch oven and allow the dough to rise until puffy, about 1 hour. 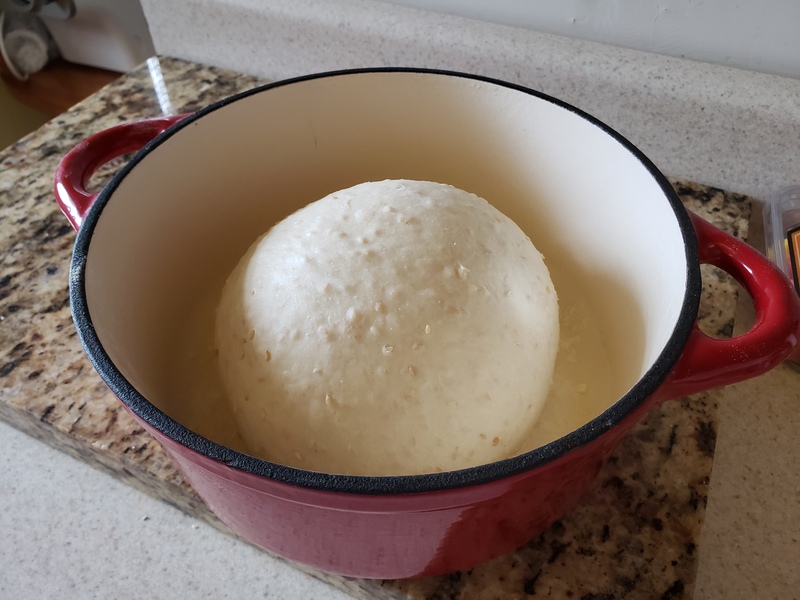 Near the end of the rising time, preheat the oven to 425 degrees F.
Brush the risen loaf with the egg white mixture and then generously sprinkle with sesame seeds. 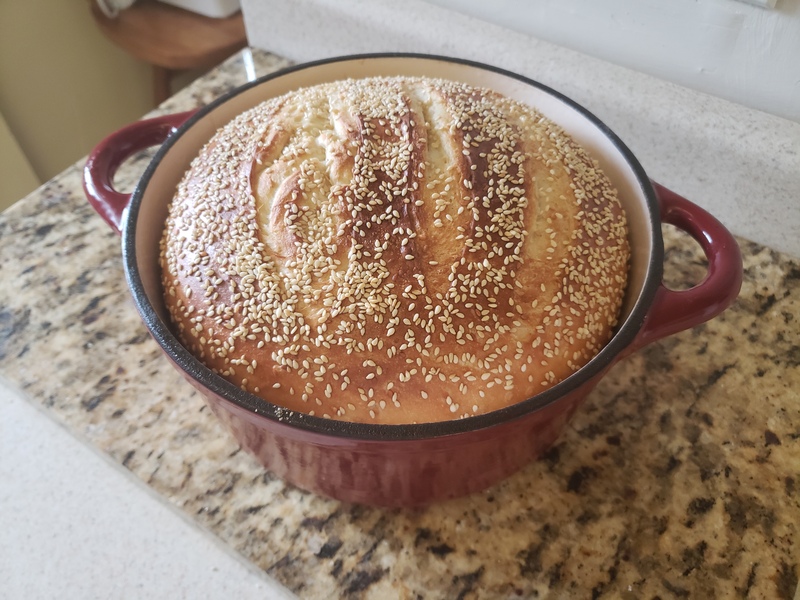 Put the lid back on the dutch oven and bake the loaf for 25-27 minutes. Remove the lid and bake for 7-10 minutes more, until deep golden brown. 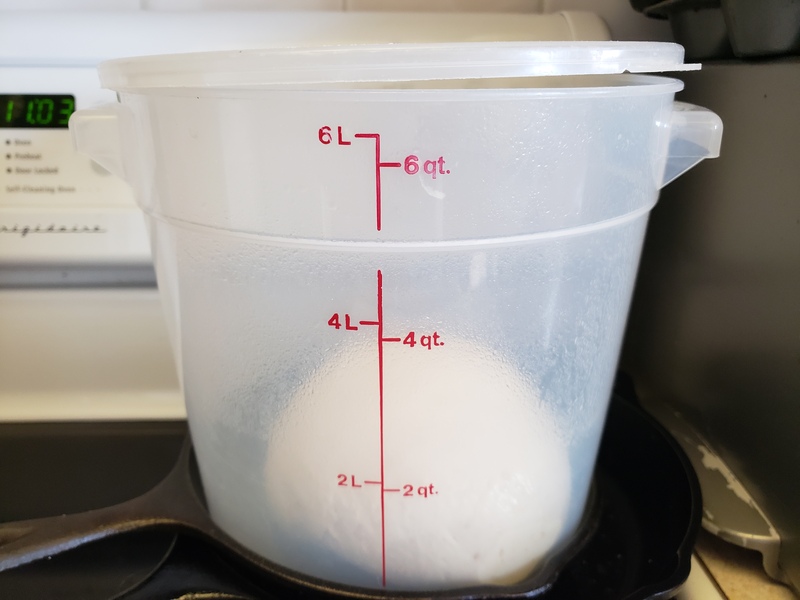 The internal temperature should measure at least 190 degrees F.
Gently tip the loaf out onto a cooling rack and cool completely before slicing. This bread has a crisp exterior and a beautifully soft crumb. The flavor is lightly nutty from the sesame seeds and is pretty much perfect for toast or grilled cheese. Looking forward to enjoying this over the next few days, and I hope you do too!